Video games are still a fairly new medium. We can trace the earliest version of video games back to the 1950s, when physicist William Higinbotham created the radar equipment-based competitive sports game Tennis for Two. As soon as Tennis for Two was created, a huge amount of interest whipped up around the simplistic electronic game, with potential players queueing up to get the chance to see it in action. This is arguably not only the birth of video games as a medium, but also of eSports. It’s no coincidence that the first video game is a competitive one; since the dawn of human history, we’ve enjoyed healthy, friendly competition with one another in all kinds of disciplines. It’s a strong possibility that eSports will be a billion-dollar industry by the end of 2018, and profits only look set to grow from there; people regularly bet on eSports events as they would a regular sporting tournament. With such explosive growth ongoing, this seems a perfect time to look at the history of eSports, its precedents, and a little bit of its future. The first ever eSports tournament on record was debatably the 1972 Stamford University Spacewar competition, in which a group of students competed against one another for the grand prize (a year’s subscription to Rolling Stone magazine). In 1980, Atari held a Space Invaders competition in New York, for which the grand prize was an arcade cabinet. Which one of these two events constitutes the “origin” of eSports depends on your perspective; while the Space Invaders competition more closely resembles a modern eSports tournament, the Spacewar event focused exclusively on a multiplayer game, which is closer to most popular eSports tournaments these days. After 1980’s Space Invaders Championship, several companies whose duty was to record video game scores began to crop up. The most prominent of these is Twin Galaxies, an Iowa-based American world record keeping organisation which you may have seen in the 2009 documentary King of Kong: A Fistful of Quarters. Twin Galaxies worked closely with the Guinness Book of World Records at their inception to ensure that video game high scorers found their way into the history books. The concept of eSports, and competitive video gaming as a whole, wouldn’t blow up until the 1990s, when the computing revolution began. The most significant development in computing from an eSports perspective is arguably the Internet; although computers could connect to one another via local area network (LAN) cables, the Internet allowed for wireless communication between machines, which gave birth to the first online competitive games such as Quake and its stablemates. The 1990s also saw major video game companies team up with retailers like Blockbuster to organise official video game tournaments, lending legitimacy not only to eSports but to video games as a whole. Fast forward to the late 1990s, and eSports events are becoming much more prominent. The Cyberathlete Professional League, established in 1997 (and still sporadically ongoing, although their last tournament was held back in 2013), was the first real eSports tournament, with its inaugural event allowing players to compete with one another at Quake. In 1998, the prize pool for the CPL was $15,000, which was the highest amount of money anyone had seen associated with an eSports event at that time. Seems quaint now, right? From there, eSports quickly grew a fanbase, and more and more events began to appear. 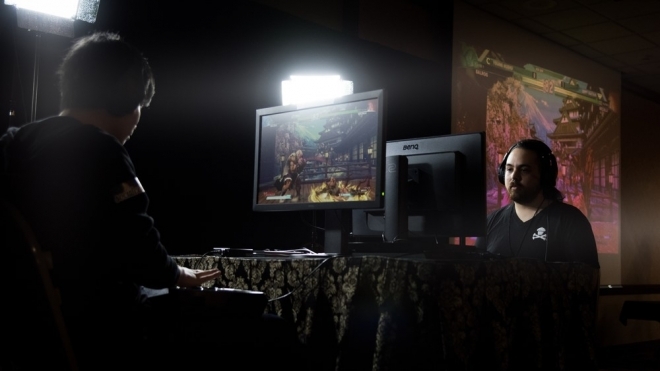 Some were dedicated to specific titles, like QuakeCon, while others were general events in which players could compete in a wide variety of games, such as the now-infamous Major League Gaming (MLG) event. Games like Blizzard’s StarCraft and the WarCraft 3 mod Defence of the Ancients would see massive popularity in South Korea. These games needed one’s brain as much as they needed twitch reflexes, so they were tests not only of skill but of intelligence and decision-making. All of this brings us to the modern era of eSports. Titles like Riot Games’ League of Legends, Valve’s DotA 2 (yes, that’s Defence of the Ancients) and Counter-Strike: Global Offensive, and Blizzard’s Heroes of the Storm and Overwatch regularly attract millions of viewers when events are streamed showing competitions in these games between skilled players. In 2017, the total amount of eSports prize money given out to competitors exceeded $110 million for the first time, with the DotA 2 tournament The International 2017 boasting a colossal $24.6 million as its prize pool. No one team won all of that money; instead, it was distributed out between the top-placing teams in the table. 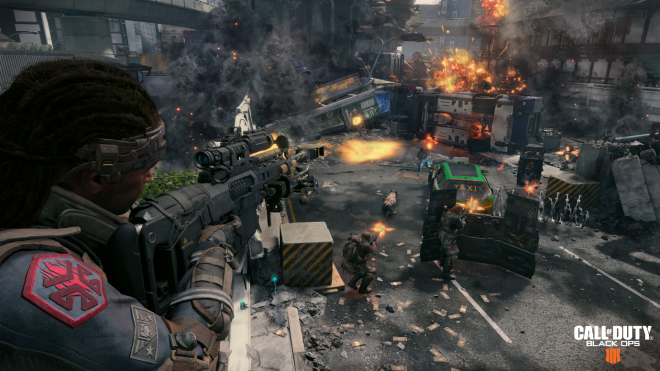 As new pretenders to the throne like Fortnite, PlayerUnknown’s Battlegrounds and Call of Duty: Black Ops IIII emerge, it’s hard to think of eSports as anything but an unstoppable juggernaut. Its sales and viewership numbers will increase, while the diversity and range of titles being considered for eSports status is increasing, too. Even Nintendo is throwing its hat into the ring with more child-friendly titles like Splatoon 2 and Super Smash Bros. Ultimate. It remains to be seen whether eSports’ meteoric growth will maintain its momentum, but for now, the sky’s the limit.